•	The 70 in E70s6 bare wire and the 70 in 7018 stick rods means they are the same strength. 70,000 psi tensile strength is as strong or stronger than most steels you will weld. 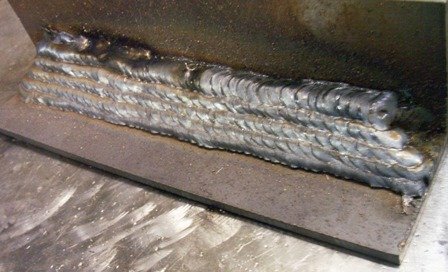 Penetration is another subject in mig bare wire vs stick welding. For downhill welding on 3/16 and thicker a 6011 stick rod will penetrate much deeper than bare wire.